Obtaining soft, glowing, beautiful skin has never been easier. Almond oil, a natural vegetable-derived extract that dates back to ancient times, nourishes and revives the skin without clogging pores. 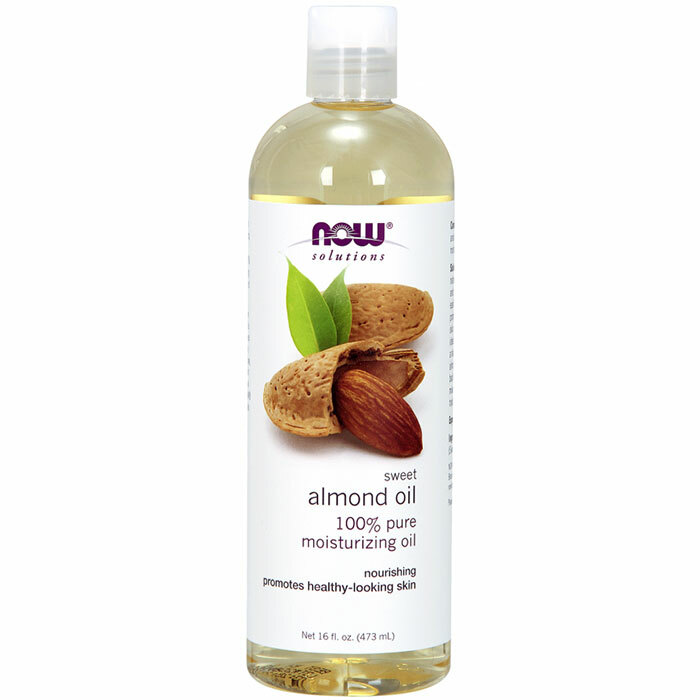 NOW Almond Oil is easily absorbed and works wonderfully as both a face and body moisturizer. After washing your face, simply massage 3-5 drops of NOW Almond Oil onto your face, playing close attention to the areas around the eyes, for skin that’s naturally exquisite. Suggested Use: Use as a cosmetic oil or cosmetic ingredient for softening and moisturizing. This 100% pure oil is also excellent as a salad and culinary oil This sweet almond oil is odorless and is derived from pressed almonds. Excellent in promoting the natural beauty. This entry was posted on Saturday, June 30th, 2007 at 12:00 am and is filed under Skin Care. You can follow any responses to this entry through the RSS 2.0 feed. You can leave a response, or trackback from your own site.